This post is sponsored by Tripadvisor but all opinions are mine. 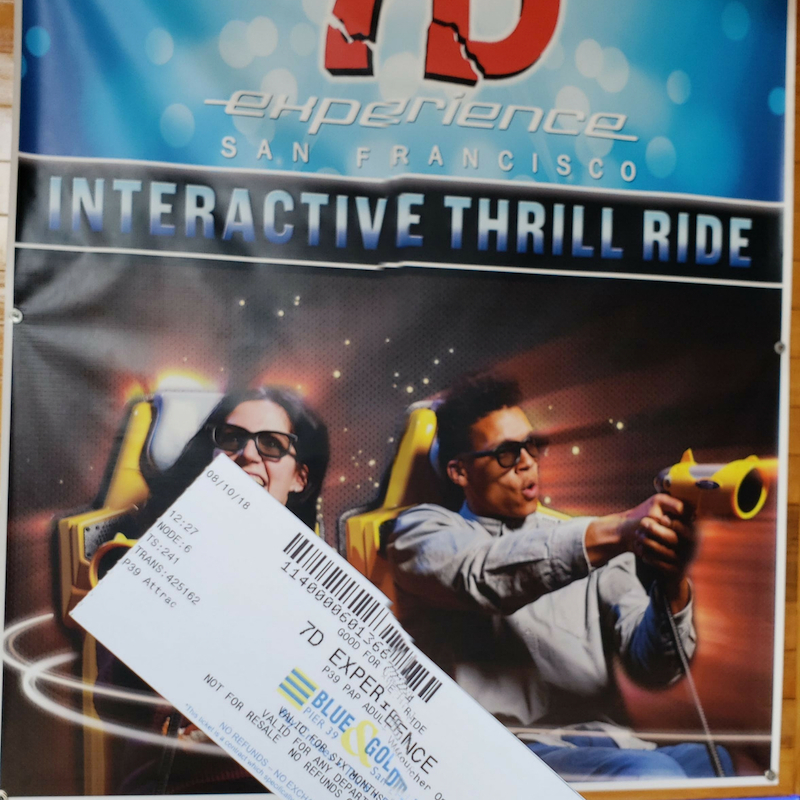 What to do at Pier 39 in San Franciso…HAVE FUN! Oh my goodness Pier 39 is the one place you need to visit when you come to San Franciso. I’ve lived in the Bay Area for a while and have been all around San Franciso, but Pier 39 is my favorite place to go. 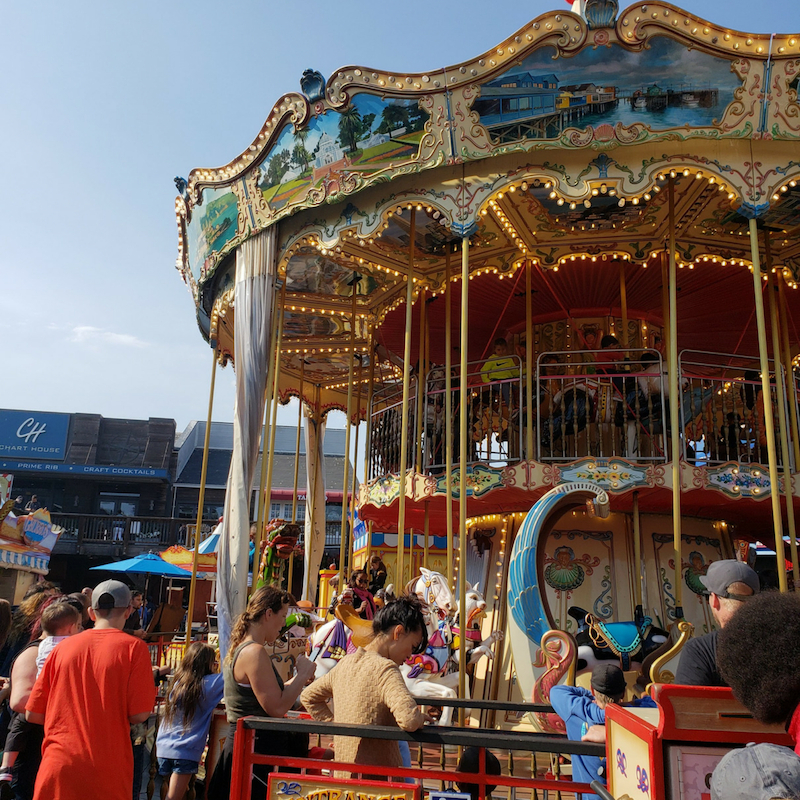 There are so many fun activities to do and something for everyone at the Pier. Now I’m not saying the activities are free, they are NOT but guess what go on TripAdvisor and get a package deal for the whole family, that will save you time and money. There are over 100 shops to go in but who has time for all that? Head to a MAP and look over what stores are around and plan out the adventure. Maybe Dad and the boys go one way and the girls the other way or everyone in one big huddle. There are so many cool stores to pick up souvenirs, clothing, shoes, fancy socks, old fashion candy, NFL gear, pearls, and yes there is even a Christmas in San Fransico store which I go to every time I’m at Pier 39. I always look for sale items in every store I go in, the mom in me! I have come across such cool stuff too. Just a hint. The Aquarium By The Bay! My favorite place at Pier 39 is the Aquarium. 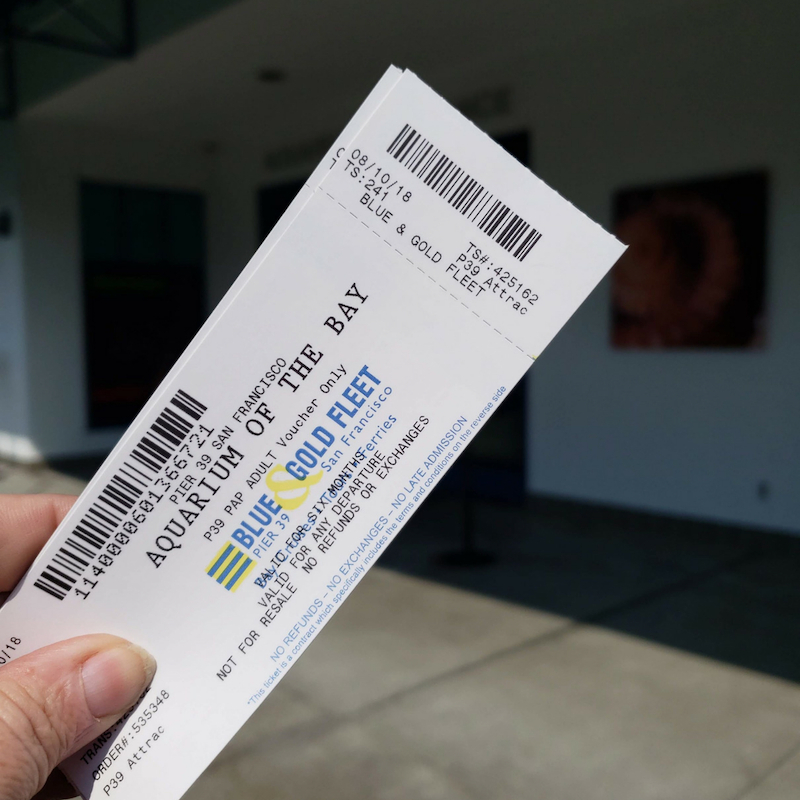 Discover The Bay Gallery, has all the local aquatic creatures we can see and read about, a lot of information that will entice the kids. The Under The Bay Tunnel is the best feature. You get to walk through this glass tunnel that has sharks, bat rays, sturgeons, and other fish on the sides and above you while walking. I got some fantastic shots in the tunnel. Touch The Bay Gallery is all about the touchy-feely on the local creatures like sharks and bat rays. Kids and adults have a lot of fun going through the aquarium. There are two levels so make sure you go tot he lower level, the tunnel is down there, and that is a must see. 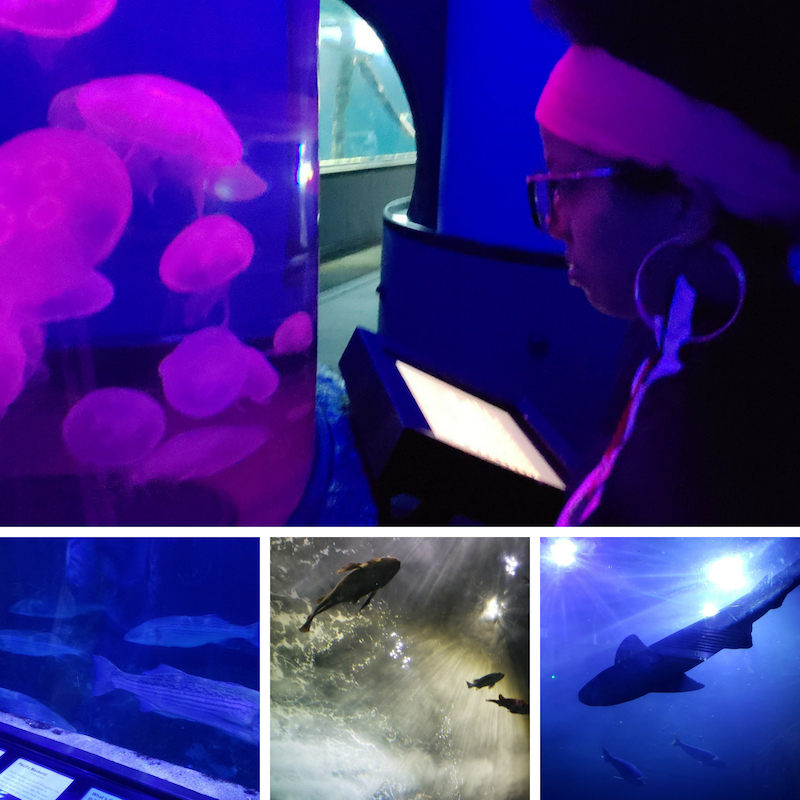 The aquarium also has special tours and daily programs. Oh and if you want to take a break and come back later..you can! They give you a stamp at the entrance so you can go and come back that day. There is a lot to do there so that might work out best for families. The otters are the cutest by the way. The cruise was my husband’s favorite activity, and yes it was a blast. 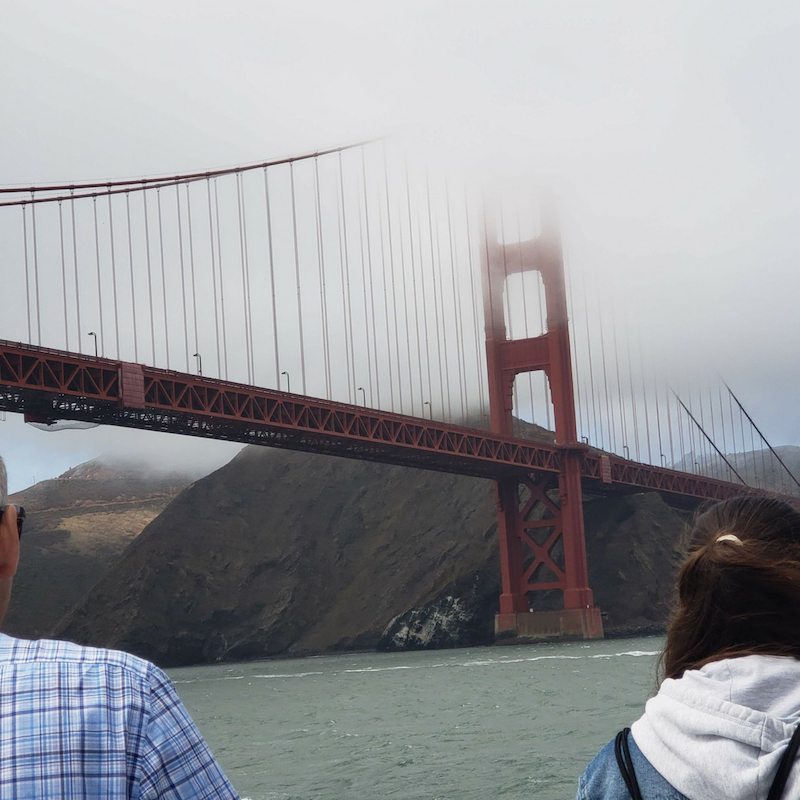 We went on the Bay Cruise Adventure that took us to the Golden Gate Bridge, around Alcatraz, gave an informational tour of San Franciso too. 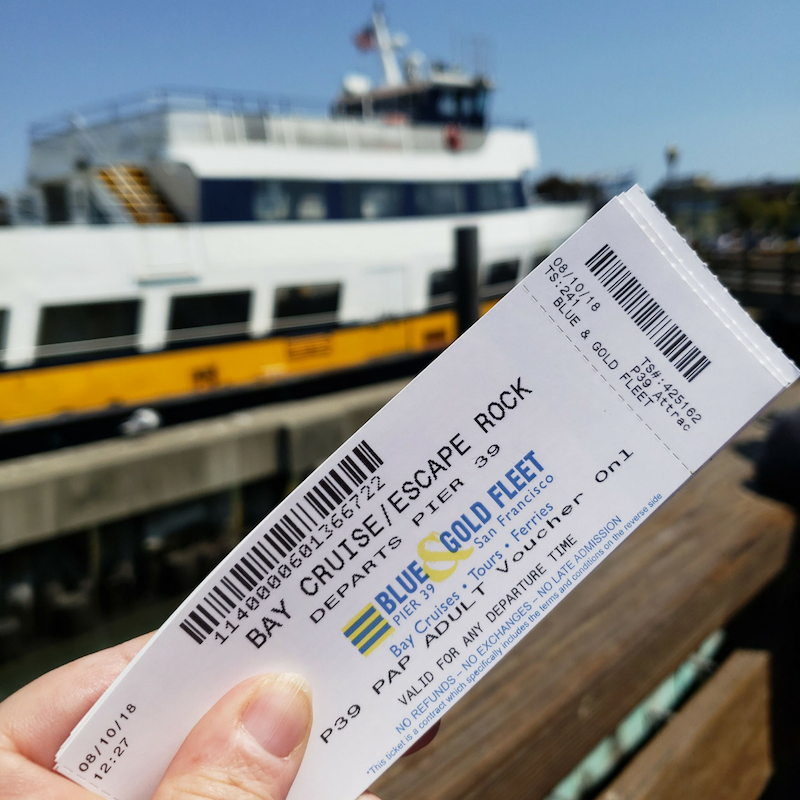 There are couple different cruises you can take- fast speedboat or tour Alcatraz-Escape from the Rock. That is on our bucket list to do. Now I did hear the best time to take a cruise in the SF Bay is at night, I bet that would be fabulous with all the city lights on at night. 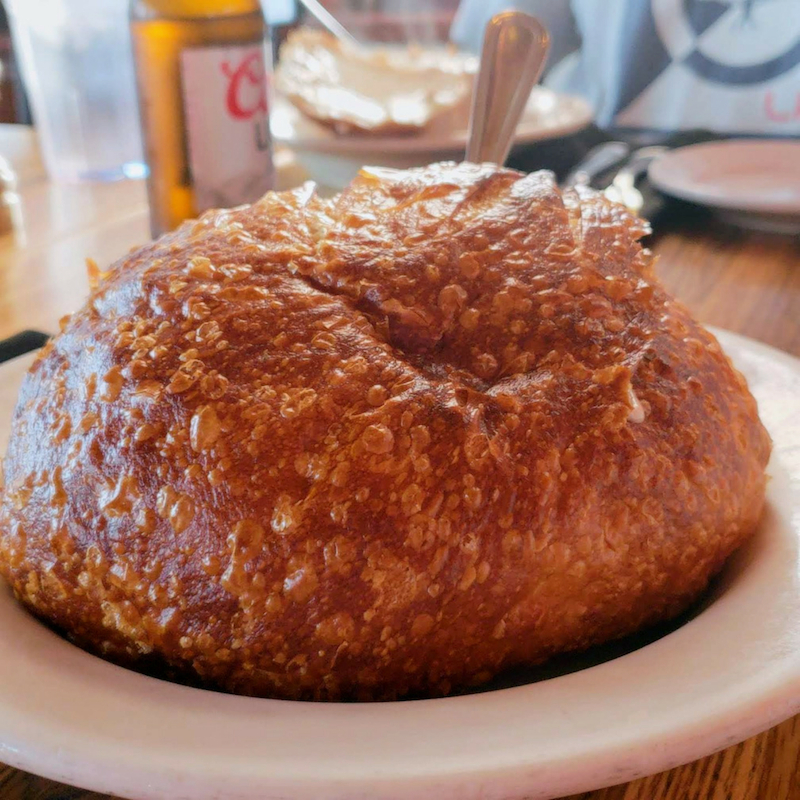 You can’t leave San Fransico without having at least a bowl of clam chowder but if you want the best experience you need to get Clam Chowder in a sourdough bread bowl. Hands down the best meal you will have there, and it doesn’t matter if it’s in the middle of summer either! This is must have in San Francisco. 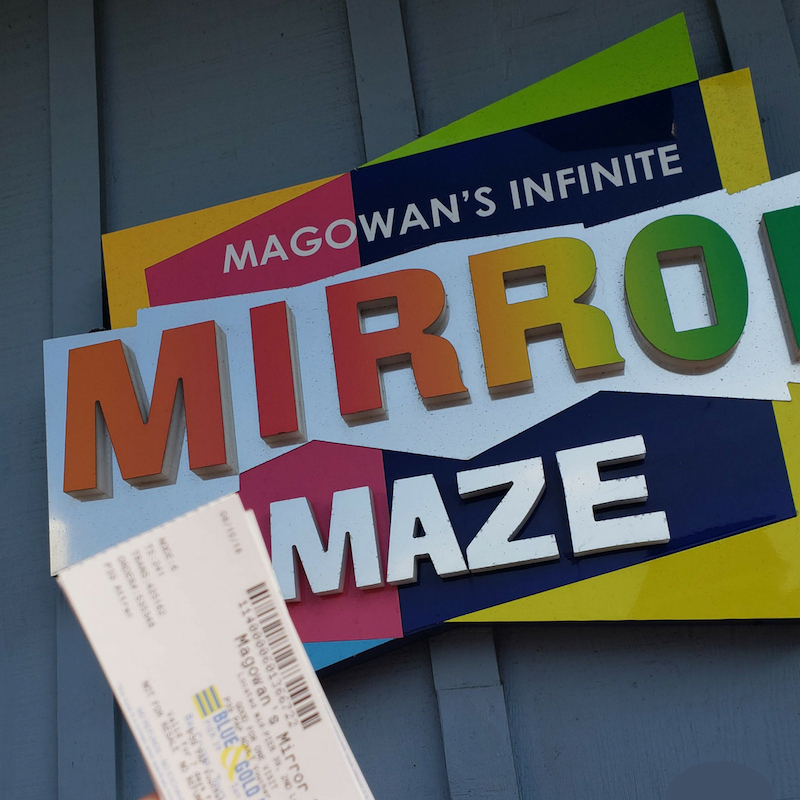 Don’t Forget Magowan’s Mirror Maze! Magowan’s is so much fun, and everyone had a blast. We go to Magowan’s every time we are at Pier 39. This activity is affordable $5 per person. You can’t beat that price for how fun you can have in there, plus I got some cool pictures that are so colorful. 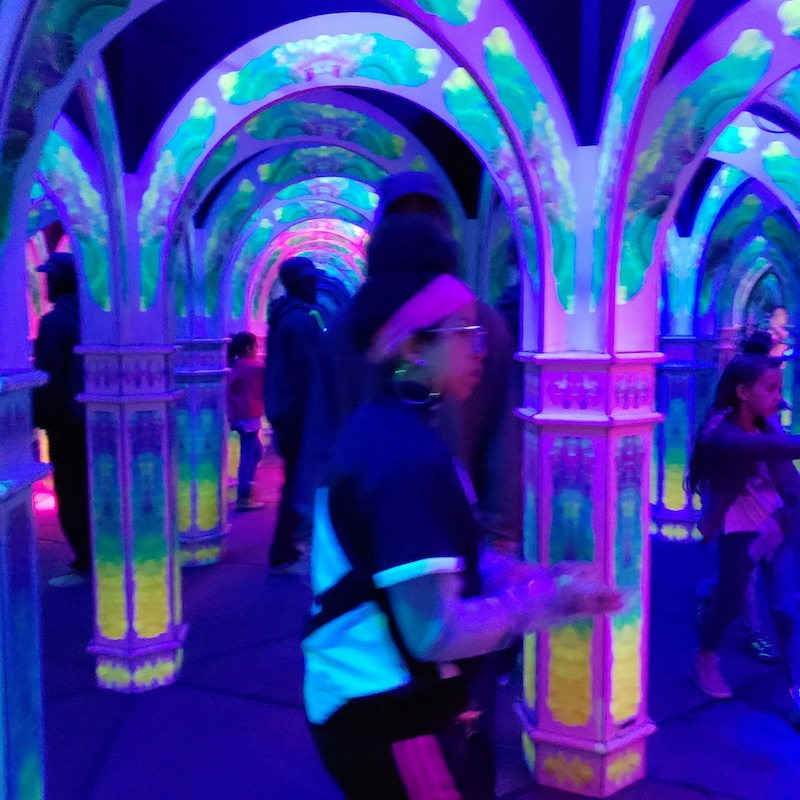 Don’t forget this in your package on Travel…/ The whole place is filled with psychedelic lighting, trick mirrors, and twists plus turns that will have you going WTH! This is a family activity indeed and if you are a competitive family of wow watch out. The 7D Experience is so exciting, and you better be up to the challenge. We watched a short video on the rules, and how it works, then they let you test out the glasses. We were street soldiers fighting other gangs, and I felt I was right there competing. Yes, there was shooting but nothing gory or anything…well at least this one. My family had a blast; they didn’t know I was good with a gun even it was fake. I beat my whole family in the competition. The Double Deck Ferris Wheel-We have so many pictures of the kids when they were young on the Ferris Wheel, a lot of memories. 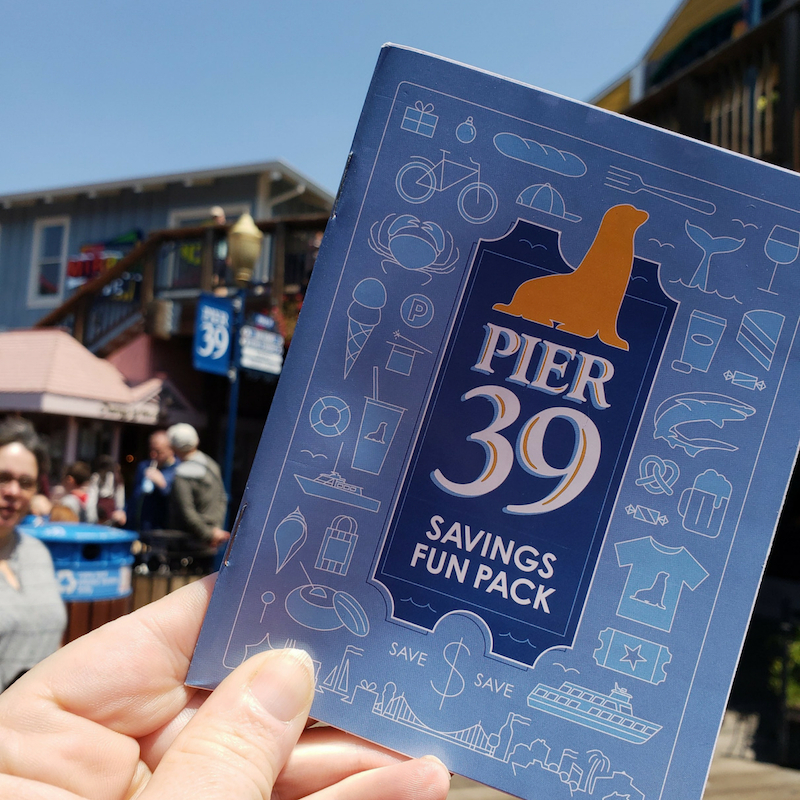 Street Performers- they have shows every day so make sure you get your Pier 39 Savings Fun Pack at the Californa Visitor Center so you know show times and there are so many coupons. And you can’t forget the Sea Lions. I love that I went through TripAdvisor because first and foremost I didn’t have to sit in the long lines to buy tickets. Our day was planned out before we even got to San Franciso which helped with the chaos. I knew a month before we were heading to SF that I wanted to go to Pier 39 so I went online to TripAdvisor and looked at all the packages they had that my family would enjoy. When you go on TripAdvisor, click on the tab on top that says Things To Do (now you can do this with every city you visit- hint money and time saver- things to do in San Fransico. You can easily search for what best suits your needs. Thousands of reviews on attractions so you can make informed choices. Booking online or on the free mobile app quick and easy – no hotel concierge, no guidebook, no ancient brochures. You can book a month in advance, a week in advance, a day in advance, or a ‘skip the line’ ticket form the very line you’re standing in. There is skip-the-line opportunities, behind-the-scenes access, private viewings and more. If you find a lower price for the same tour or activity within 72 hours of booking, or if you arrive at your destination and find your activity offered at a lower cost by the same operator. They will refund the price difference. Are ready to start planning your next trip for the day, week, or maybe just a couple of hours? 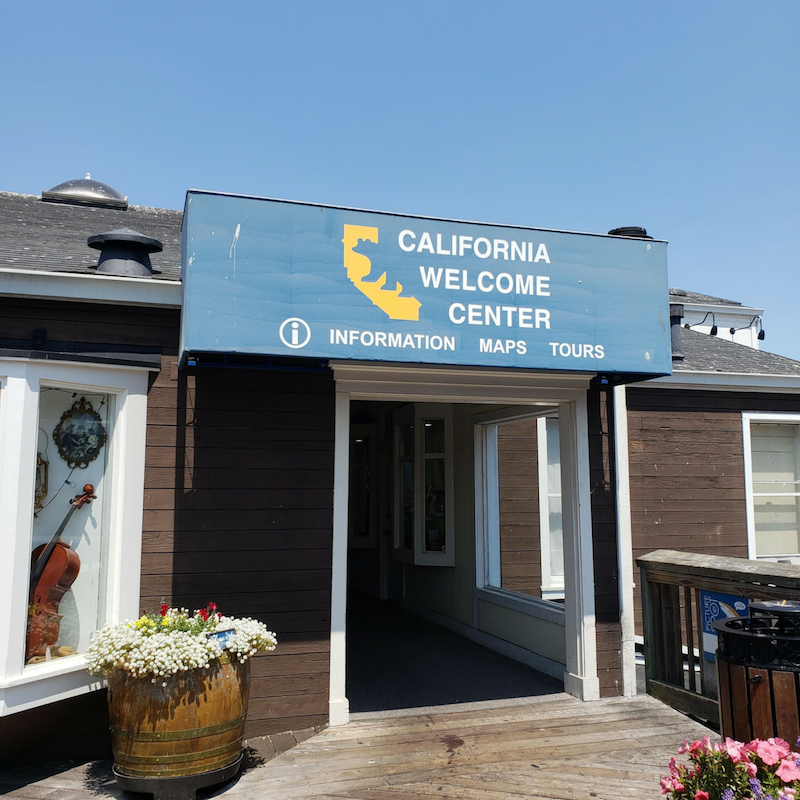 Make sure to give TripAdvisor a shot, I swear it was the best way to make our day trip to Pier 39 fun and memorable. Going on a trip to San Francisco soon, so I’ve got this bookmarked. Thanks for the list! 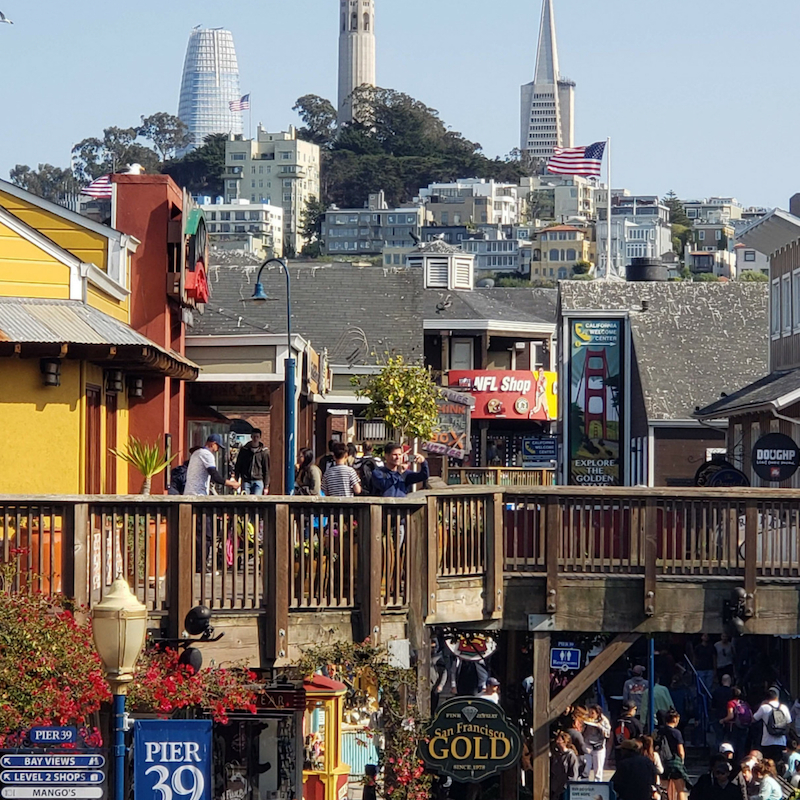 I absolutely adore San Francisco, especially pier 39… I sadly haven’t been in years, I’m from England so it costs quite a bit to visit.. Nice post though.